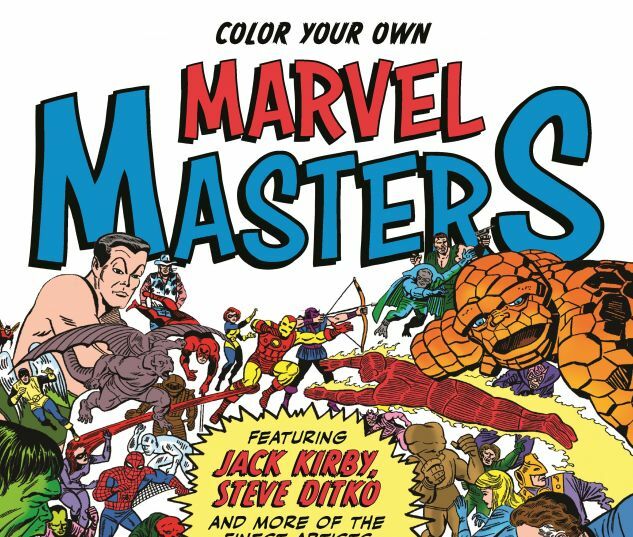 Celebrate the Mighty Marvel Age of Coloring Books with the artistic legends that helped build the House of Ideas! 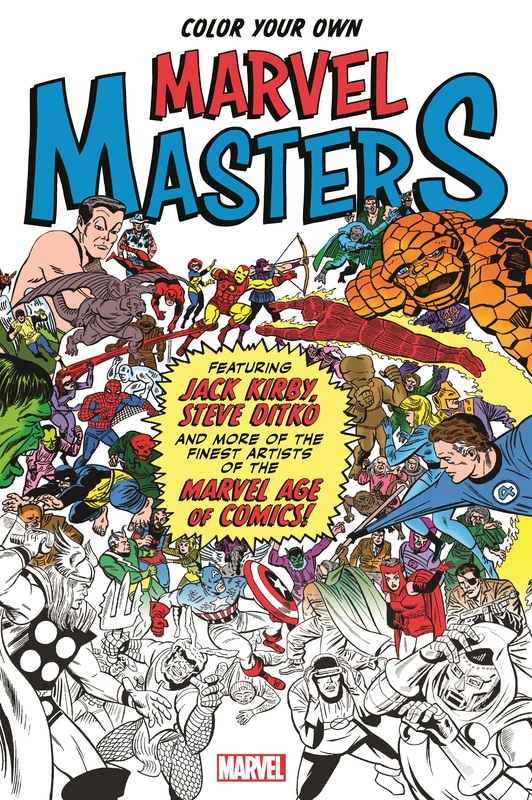 Icons of the field such as Jack Kirby, the unquestioned "King" of comics, whose boundless imagination populated the emerging Marvel Universe with a cornucopia of colorful, costumed characters - including the Fantastic Four, Avengers and X-Men! His far-out fantasy masterpieces must be seen to be believed! Then there's "Sturdy" Steve Ditko, who ripped up the super-hero rulebook with Spider- Man and sent Doctor Strange into a psychedelic kaleidoscope of spellbinding dimensions! 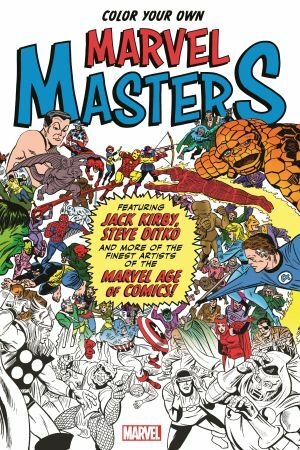 The incredible work of Kirby, Ditko and their celebrated contemporaries awaits in crisp black and white - and YOU get to stand on the shoulders of these giants by spreading the hues on some Marvel Masterworks!